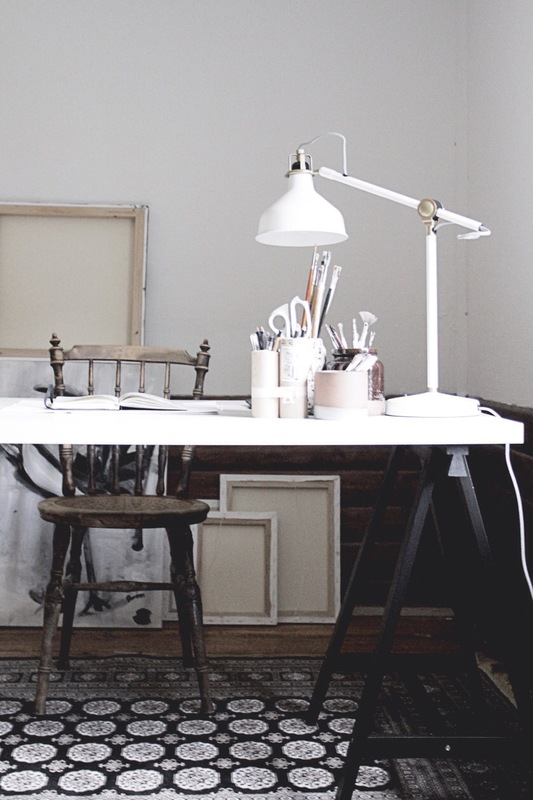 After featuring yesterday the Atelier of Ashley Mauricia, I was intrigued by how artists keep their studio. Most of them keep them a bit messy with all the paintbrushes and paint drops everywhere and for a space like that it feels awesome. So I went looking for more creative workspaces like that. I stumbled upon this beautiful one of Sara Woodrow. She's an artist that draws these very beautiful images. 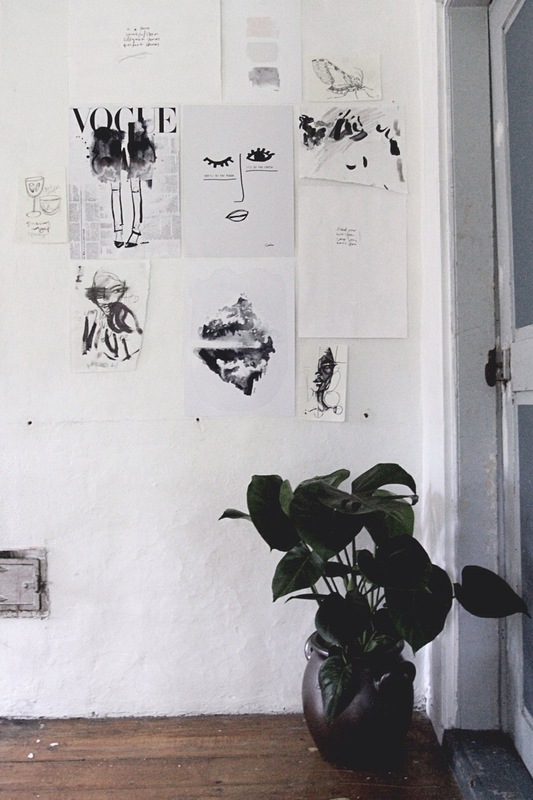 Her space doesn't need to be all about color and to much decor. 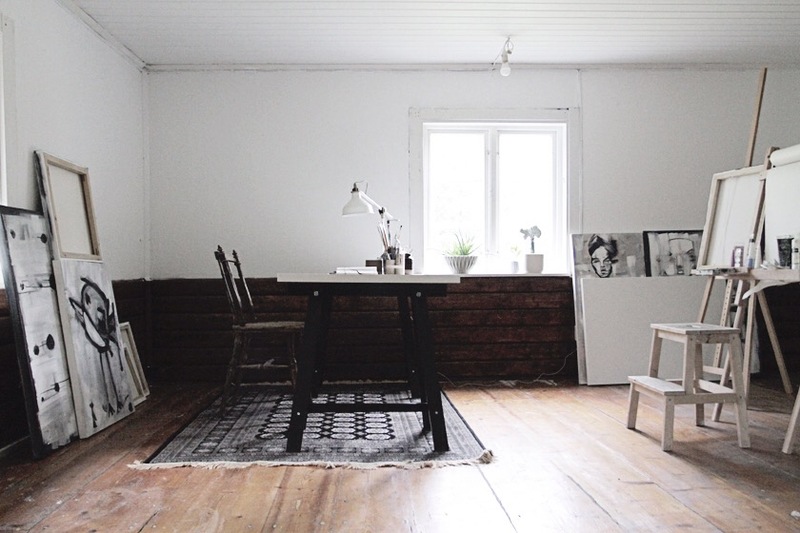 The simplicity in here brings so much peace and that it will flow your creativity completely in the right place. I really love the rug on the hard wooden floor. Once more a great combination with the white walls. The wooden touches on the walls brings a warm feeling to the space and allot of natural lights comes through the window. I think she must be in there the whole day. A true artist space. What do you think? 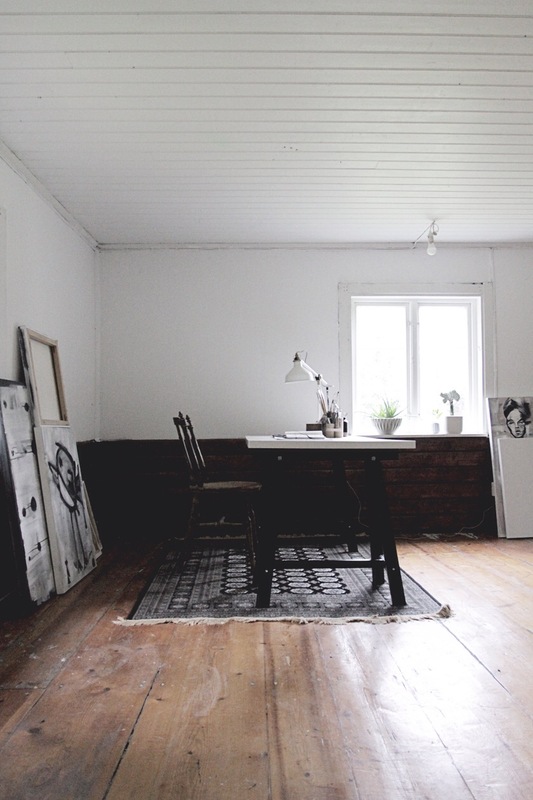 Do you love the simplicity approach in this room?